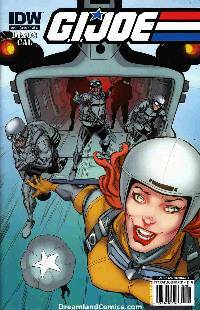 Ripcord joins the series as he leads Scarlett and a team of Fobbits on a jump to a faraway tropical island. But it's no day at the beach because COBRA owns this little slice of paradise and means to keep it. Also, Shipwreck and his crew of pirates in action against the Dreadnaught; COBRA's gigantic submarine-cruiser. It's a perfect storm of action and suspense!